We are proud to see so many familiar faces who have attended this conference year after year. But what I like most are the many new clients who are attending this year for the first time sitting next to others who have attended for what is now decades. The veteran attendees can tell you that our team operates from the same playbook every year. We never take big bets. And this year more than any other reinforces that our duration neutral approach works. Bonds so far in 2014 have provided strong absolute returns and we were able to participate fully. This year’s drop in interest rates surprised almost everyone. The yield curve actually flattened 100 basis points (1%) with the 30-year Treasury down 89 basis points (.89%) and two-year notes up 11 basis points (.11%). Globally, US Treasuries look attractive with five-year bonds out-yielding German and Japanese bonds by 150 basis points (1.5%). The U.S. maintains the safe haven perception in this geopolitical environment – one of the reasons why the U.S. is a relative value even though nominal rates are low. Yield spreads have also continued to grind tighter. Spreads are now back to pre-crisis levels. We think most of the spread narrowing is behind us, but think spread sectors still look attractive at the short end of the curve. We especially like investment-grade corporate spreads as many companies remain strong from a credit perspective. Year to date the municipal market has had quite a run with yields following Treasury yields down. The market has also reacted to decreased supply. Investors stretched for yield by going out the yield curve and down in quality, and lower quality muni bonds have posted higher total returns. A key difference from the taxable bond market is that credit fundamentals for many municipalities are still stressed versus pre-crisis conditions. We continue to be biased toward high-quality munis. In our experience, this is the part of the portfolio where most investors focus on wealth preservation. What caused the decline in yields? It was caused by a number of things including unanticipated weakness in the economy and weather related issues like the Polar Vortex. But the economy bounced back. Construction spending and auto sales, two large segments of the economy that are weather sensitive, had unusually weak first quarters but bounced back in the second quarter. Now we are experiencing a broad, durable moderate growth environment with tame inflation. Here’s what we see in the economy. The consumer, at 70% of GDP, is in better shape today. Consumers are building back and repairing the liability side of their balance sheets and improving household net worth. Yet consumer spending is not where it would normally be at this point in the cycle. Modest, essentially flat, wage gains are constraining spending. One category of concern is student loan debt growth which will negatively impact the overall economy. The rise in the student loan burden directly impacts the housing market. Recent grads face higher levels of underemployment and more are living with parents. First time home buyers represent only 23% of the total vs 40% historically. This bears watching. If you aren’t buying homes, other related spending doesn’t happen. It also changes views on the American Dream. Housing is no longer the sure thing it once used to be. For this generation the housing crisis is their own Great Depression and shapes their perceptions. The U.S. energy boom is a game changer in our opinion. It creates jobs and reduces our reliance on foreign oil and is a key reason for the manufacturing renaissance. It gives us a competitive advantage relative to the world with lower cost energy. Combined with rising wage pressures in China, we think the re-shoring of manufacturing has several years to play out. It is also a reason why household income is increasing vs decreasing with most of the growth in the Middle West. These areas have lower unemployment too. The overall labor market has improved. We were concerned about the sharp decline in participation rates with as much as a third to a half being discouraged workers. However, many of these should come back in and become a ready additional supply of workers. Employment is getting back to pre-crisis highs in terms of the number of people working, and the trend is in the right direction, but it will be choppy. We have yet to see broad wage pressure. This is why we think the consumer isn’t responding like they have in past cycles. The slack in the labor markets will keep average hourly earnings contained. U.S. labor cost is globally competitive. This relative improvement in unit labor cost combined with an energy advantage could lead to solid U.S. growth even if global growth is lack luster. Compare the U.S. to the Eurozone. The U.S. has seen job creation since the crisis while the Eurozone has lost jobs. The U.S. took extraordinary measures while policy officials in the Eurozone were timid, even increasing rates. This story could have played out very differently. But the US is facing structural changes in the work force where those 65 and older are staying in the workforce longer. The rate of employment among young people aged 20 to 24 is falling as they see limited job prospects. This is a troubling trend. The Fed’s preferred measure for consumer price inflation, the PCE price index (Personal Consumption Expenditures,) is currently at 1.6% year-over-year, comfortably below the Fed’s long-term target of 2%. This benign inflation environment will allow Fed Chair Janet Yellen to stay the course. We believe Janet Yellen as vice chair was the right choice to succeed Bernanke for policy continuity. Though Bernanke began the exit strategy with the formal announcement of the quantitative easing taper in December, Janet Yellen will navigate the ship through the uncharted waters as the Fed exits from their extraordinary policy response. The Fed’s response consisted of both conventional interest rate policy and unconventional balance sheet policy including the QE bond buying. Though this will be over by the end of October, the substantially expanded balance sheet of the Fed will be in place for some time. The market’s focus now is the timing of the first rate hike, the pace of subsequent rate hikes and the “new neutral” destination. Our best guess for the start of rate hikes is midyear 2015. The Fed will have challenges raising interest rates given the huge amount of excess reserves in the banking system as a result of the $3.5 trillion of balance sheet expansion. We are watching closely two new tools we think will be required to help the Fed target higher overnight rates: interest on excess reserves and large scale overnight reverse repo. As Fed policy drove asset prices higher this year, many investors stayed on the sidelines with shortened maturities. Though the US economy appears to be in a self-sustaining, moderate-growth expansion, the collapse in market volatility in both the stock and bond market is concerning because it gives the illusion of a return to pre-crisis normalcy. Low volatility (complacency) emboldens investors to reach for yield. Some investors have gravitated into high-yield bonds or levered bank loans, two sectors of the market that we are watching closely. They are not good or bad, but these sectors perform like equities. If the positive outlook and liquidity change in these markets, there could be some dislocation. The reaching for yield that we have seen in the current market cycle reminds us again of the important role high quality bonds play in an overall investment strategy. Liquidity has declined. Wall Street bond dealers no longer serve as shock absorbers as their inventory has declined. This can be an advantage for us when they offer us the opportunity to buy at depressed levels. At this point in the cycle, risk control matters and you aren’t being paid for additional risk. Investors should diversify with investments that offer negative correlations. However, investments like high yield bonds and bank loans behave more like equities. In this environment, it important to structure portfolios to benefit from a steep yield curve. We remain duration neutral. We don’t believe anyone can consistently forecast interest rates. 2014 is a prime example of how rates can defy the consensus view. We also currently positioned our portfolios to benefit from spread sector outperformance and remain underweight to Treasuries. Our focus is on risk control and we are evolving the portfolio for less spread sector overweight and to maintain a coupon advantage. We’ve established a position in floating rate securities, which can respond more quickly to rising rates, and we continue to emphasize diversification. Our team goes back together more than thirty years, and we believe our experience and our risk focused process position us well for the challenges ahead. Mary Ellen is Director of Asset Management at Baird, Managing Director and Chief Investment Officer of Baird Advisors. She has more than 30 years of investment experience managing various types of fixed income portfolios. 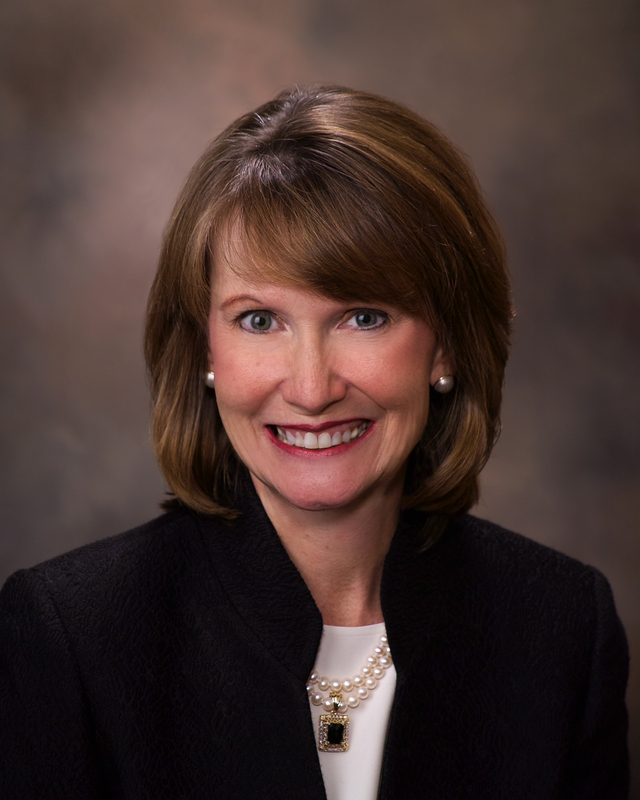 Prior to joining Baird Advisors, Mary Ellen was President and Chief Executive Officer of Firstar Investment Research and Management Company (FIRMCO) and was Director of Fixed Income. She is responsible for the formulation of fixed income strategy as well as the development and portfolio management of all fixed income services. Baird Advisors manages $24 billion in fixed-income assets. Baird is an employee-owned, international wealth management, capital markets, private equity and asset management firm with offices in the United States, Europe and Asia. Established in 1919, Baird has approximately 3,000 associates serving the needs of individual, corporate, institutional and municipal clients. Baird has more than $125billion in client assets. Committed to being a great place to work, Baird ranked No. 9 on FORTUNE’s 100 Best Companies to Work For in 2014 – its 11th consecutive year on the list. Baird’s principal operating subsidiaries are Robert W. Baird & Co. and McAdams Wright Ragen, Inc. in the United States and Robert W. Baird Group Ltd. in Europe. Baird also has an operating subsidiary in Asia supporting Baird’s investment banking and private equity operations. For more information, please visit Baird’s Web site at www.rwbaird.com. Investors should consider the investment objectives, risks, charges and expenses of each fund carefully before investing. This and other information is found in the prospectus and summary prospectus. For a prospectus or summary prospectus contact Baird Funds directly at 800-444-9102 or contact your Baird Financial Advisor. Please read the prospectus or summary prospectus carefully before investing. Some of the potential risks associated with fixed income investments include call risk, reinvestment risk, default risk and inflation risk. Additionally, it is important that an investor is familiar with the inverse relationship between a bond’s price and its yield. Bond prices will fall as interest rates rise and vice versa. Municipal securities investments are not appropriate for all investors, especially those taxed at lower rates. Investments in government obligations are neither issued nor guaranteed by the U.S. Treasury.